Perusing the bulk food section on Friday at Wild Oats, I discovered they have organic shredded coconut! It was way on the end. I have been buying shredded coconut in packages that cost nearly twice as much. This was $2.19 a pound. And at Safeway, you can't even get the unsweetened kind. I whipped up batch of macaroons last night (seriously, these are probably the easiest cookies you can make). 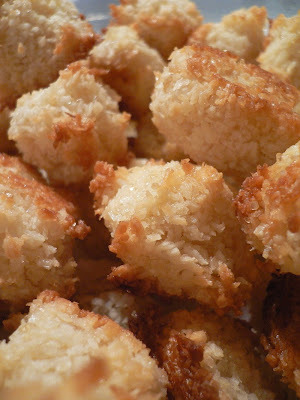 I used the same coconut macaroon recipe as before but tried Demerara sugar to see how it would taste. 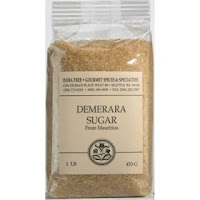 This is raw cane sugar that has really large crystals and a slightly "browner" taste. I used just under 3/4 cup. The larger crystals made the macaroons a little trickier to shape, as they didn't want to stick together, so I just went for lumps instead of fancy pyramids. But the taste was really good, and they didn't seem to burn on the bottoms as quickly. I left them in the oven longer (about 12 minutes) to get brown and crispy the way I like them. In the middle of the night in a Tupperware container they don't look all that fabulous, but served up with pretty china and linens they become elegant. Thanks to Clotilde at Chocolate & Zucchini for the original recipe. Those look delicious! 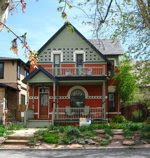 And easy too? Thats a win win situation! those look so good -- i will have to look in the bins at my health food store to see if they have coconut! These are super-easy to make, and not expensive. I had to take them to work, though, as I was giving myself a stomach ache by eating too many myself. thanks. with passover on the horizon I was all ready to search for macaroon recipes (and confirmation that one could use unsweetened coconut), and it appears. Someone mentioned almond essence -- would it muddy the flavors too much? Hmm, I don't know! I think it would taste fine. Though I forgot to add the vanilla extract to this batch, and they were yummy just the same. You could try splitting a batch and adding different flavors to see what you like best. The recipe is so fast and simple that it wouldn't take much effort. Ridiculously easy. I made a tester set with vanilla, very approximate quantities (just one egg white, put in coconut till it seemed not too watery) and they were lovely. A real contrast between the crackly surface and the tender innards. Of course, like anything made with coconut, they keep you chewing long after the flavor is gone. I'm making some more this weekend and I think I'll dip in melted chocolate. Thanks! Now I'm not a slave to Manischevitz for my Passover treats. Those look tasty! 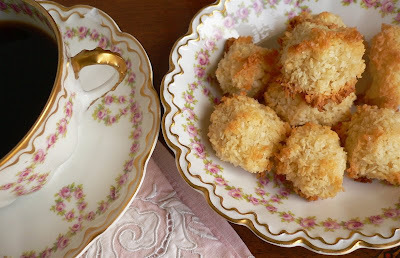 I'm planning on making some coconut macaroons this week also, for a party.